Forty Toes: Disneyland Giveaway & Stella Marie's Birthday Bash! Disneyland Giveaway & Stella Marie's Birthday Bash! 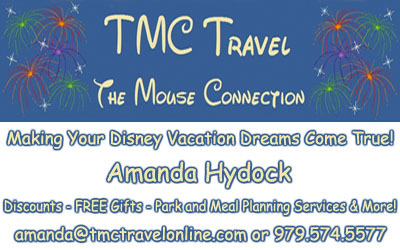 WIN a 100 dollar gift card on a 4 day or more booked trip to Disneyland! Wow guys this took a little longer than planned to pull together but sooooooooo HAPPY to launch this one! GREAT stuff for any DISNEYLAND trip or Birthday Bash! Shoot we like to dress up as a PRINCESS just to go to the grocery store around here! Leave LOVE on each designers page, tag my page FORTY TOES PHOTOGRAPHY in the post and you are good to go! So what are you waiting for???? Start liking some pages! Starts August 26th and ends September 3rd! WINNER posted HERE September 4th! Thanks so much for the wonderful giveaway!! Wahoo! What a great giveaway!! Thank you so much for awesome giveaway!!! Wonderful, beautiful things. Thanks for introducing me to new "friends". Awesome giveaway! Been waiting for it to get started! So excited! Really excited about this one!!!! Thanks so much for an awesome giveaway. Love your work. Thank you for the awesome Disneyland giveaway! I wasn't able to LIKE "Plumberri Boutique". There was an error message when I clicked the link. Thank you! We are surprising my daughter Chloe for her 6th birthday (the day before Thanksgiving) with a birthday trip to Disney and this would be amazing to win!!! Thank you so much for this wonderful opportunity! Thank you also to the awesome sponsors! LOVE this giveaway!!! Thank you! !